Hello once again, Ring of Honor wrestling fans (and wrestling fans in general). Nathan here to bring you your weekly review of all things Ring of Honor Wrestling. This week’s show was decent at best but I’ll get into that in a bit as to why I felt this way this week. B) In a different gimmick. It needs a revamping—and fast. Maybe, as we get closer to 2015, we’ll get that. But, it remains to be seen. After the intro, the cameras bring us into the arena and Kevin Kelly is on commentary. Kelly welcomes us to the show and tells us that his color commentator for the week will be none other than…Truth Martini. Truth Martini filled the role well. But, I would prefer someone on color (or commentary in general) whose voice isn’t a complete gimmick. I honestly don’t think his voice is that deep or that Martini uses that as his everyday voice. Anyways, enough of my rambling and on to the first match of the night, shall we? Thoughts: This match was a battle over two ordained ministers (Seriously, I found out that Mark Briscoe is an ordained minister. Completely blew my mind). Early on in the match, Caprice Coleman hit Mark Briscoe with the “One Inch Punch” (A punch that purposely isn’t supposed to connect with your opponent) and Mark Briscoe sold it like he got shot out of a cannon. Caprice then followed it up with a moonsault for a near-fall. The finish of the match came when Mark Briscoe scored the pin with a modified Olympic slam. I wasn’t really feeling this match. Both guys, on their own, are extremely uninteresting and it just didn’t sit well with me. It wasn’t “bad,” but it didn’t really jump out at me as anything special. From there, we go to a segment involving the suspended Tommaso Ciampa. Ciampa demands that Nigel McGuinness reinstates him. He then tells McGuinness that he’s gotten soft and says that Nigel is washed up and not what he used to be back when he was a wrestler. This led McGuinness to reinstate Ciampa (minus the verbal bullying) with a zero tolerance policy. If Ciampa attacks any more officials within ROH, he will be fired on the spot. This brings out Jay Briscoe to confront the newly reinstated Ciampa but before anything can happen, The Kingdom jump in the ring and attack the world champion. They (Cole, Taven, and Bennett) lay out Briscoe with a triple superkick followed by a doomsday device on Mark Briscoe (who made his way out to the ring to aid his fallen brother). I had a thought while this angle was going on. Simply put, Tommaso Ciampa will be the next ROH World Heavyweight Champion. The guy has all the tools and ever since Kevin Steen left ROH for WWE (currently in NXT, possibly about to be renamed Kevin Owens), ROH has needed a guy to fill the void. It seems that they are accomplishing this with Ciampa. I could easily see him becoming the next ROH World Champion if they build it right. I for one am all for this because Ciampa is my favorite guy within ROH right now. But, time will tell whether or not I’m right. Back from commercial, BJ Whitmer who has some motivating words for Adam Page ahead of their upcoming match, treats us to a promo. Result: Adam Page picks up the win for himself and Whitmer after hitting Cheeseburger with a modified Air Raid Crash. Thoughts: I wasn’t really feeling this match as well. It was decent, at best, but I would have preferred it to be a singles match between Bob Evans and BJ Whitmer (the two that I actually like within the match). To me, Cheeseburger can’t be taken seriously because he is really skinny and as his name suggests he needs to eat a cheeseburger (Blame Charlie Haas for Cheeseburger having his name, since Haas coined it in a promo way back in 2013 when he was still with ROH). If Cheeseburger were to get a name change, I might be able to take him seriously. But, since that will probably never happen, I will probably not like him for as long as he is wrestling in the company—especially since his matches just aren’t realistic at all. Adam Page on the other hand hasn’t really impressed me and has only had one really good match that being against Silas Young. You can thank Silas Young for that because he is the man and continues to do great things in the company. The match ended after Adam Page hit Cheeseburger with a modified air raid crash. Out of the two Brutal Burgers members, Cheeseburger is usually the one to take the pinfall while Brutal Bob will console him post match. I’m waiting for the day when Bob snaps and gets rid of Cheeseburger (so he can get off of my TV). Sadly, when this happens, Evans will go back into obscurity. This is unfortunate because he is a talented wrestler and accomplished trainer, but always seems to get shafted on getting a fair shake. Back from a commercial break that included a ROH Halloween promo that involved Delirious, Mark Briscoe, and the Romantic Touch, we head right into the main event of the evening. Result: AJ Styles defeats Matt Sydal by dropping down to the ground in a variation of the Styles Clash and then following it up with a regular Styles clash for the win. Thoughts: This match was really, really good. I could tell that these tapings were old as AJ Styles was still the IWGP World Heavyweight Champion at the time (before King Of Pro Wrestling, which took place on October 12th). But, that doesn’t matter to me because it’s bound to happen within a taped environment (and ROH is a company that can get away with it). This match had a very slow technical start with both Styles and Sydal one-upping the other on their skills on the ground. The match picked up when Styles lifted Sydal up and Sydal hit AJ with a flying head scissors. Styles rolled out of the ring and Sydal tried to execute a moonsault to the outside of the ring but Styles prevented it from happening and hangs Sydal out between the ropes. Later on in the match, Matt Sydal hit his patented double knees off of the top to a standing AJ that took Styles down to the mat. Sydal then fought out of a styles clash attempt and then proceeded to miss an attempt at a shooting star press. The finish came when Styles dropped down to the ground with a Styles clash variant and then hit a regular Styles Clash to score the pinfall victory. Very good match and a hell of a main event, it was definitely worth the wait considering it was hyped for three weeks on TV. After the match, Truth Martini got off of commentary and came over to Sydal as he was on his way up the ramp. Could we be seeing the potential birth of a new “House Of Truth?” We will have to tune in to see what will happen in the weeks to come. But don’t worry, Eyes On The Ring readers. I will have all the coverage as it pertains to Ring Of Honor for you right here. 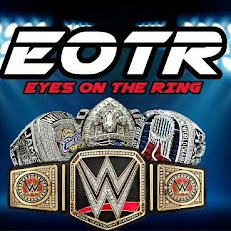 So until next week ROH fans I am Nathan saying so long and be sure to keep your eyes on the ring (and on the site) as the entire Eyes On The Ring team including myself brings you all of the latest and greatest news that we feel you should know. Also please head on over to Facebook.com/EyesOnTheRing and give us a like and follow us on Twitter @EyesOnTheRing and I will see you next week!